Here is a subpatched version with only 4 waves. I dont remember if I made object versions of the smaller ones, I am going to have to look for it then or make it. Well to make the version with 2 waves its really simple. You just make 2 wavetables and use the crossfade objet to fade from one to the other. I thought that crossfading 2 wavetable objets will introduce phasing in the resulting wave, as are 2 independent oscillators, but I tried and works well. It probably could, yes. But I didnt encounter any issues. You can always use the rst inlet to restart the osc's phase if it is a problem. 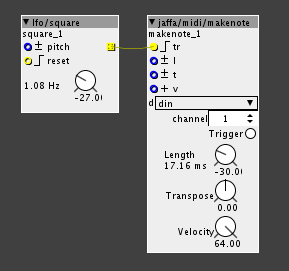 New additions - Make note object for handling midi note data. 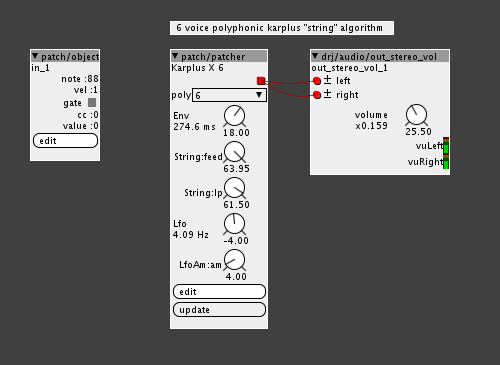 It is basically based on Pure Data's make note object, handling the 3 functions tranpose, velocity and note length, that makes up a midi note. 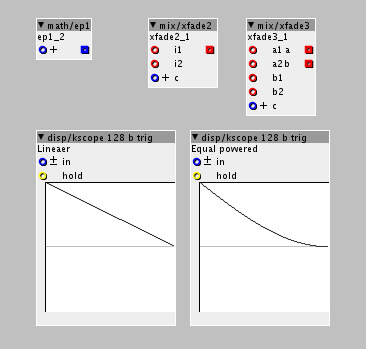 The midi output, to send the data to a midi device is build in. 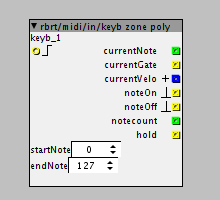 Simply set midi port and midi channel, go live with the patch and make your midi note settings. Try replacing the wavetable object with that one and see if it works.